With the advent of dual-core mobiles and tablets, the recent launch of Intel's fastest ever processors, and the rollout of fibre broadband, we thought it was high time we celebrated the tech that gives our gadgets the speed we crave. So throughout this week, we've beeen publishing articles looking at various speed-related technologies, looking at what we have now and what we'll be enjoying in the future. In the PC world, we revealed the fastest computers in the world, showed you how you can build a super-speedy desktop PC for yourself, and took a look at the upcoming high-speed connections that will make Thunderbolt look sluggish. We also delved into the AMD vs Nvidia graphics card speed race to see where this battle is headed, and revealed the amazing possibilities that future processors will offer. In the mobile phone arena, we broke through the jargon to explain the technologies that make your handset speed along, and then moving onto internet tech, we examined the state of the UK's broadband and talked to experts to find out what Britain needs to do to get up to speed with the countries that make us look as though we're still on 56k modems by comparison. And talking of 56k modems, we spent a day using one instead of our broadband connection to see just how far we've come over the last 15 years. We also chatted to Google to discover how the internet giant handles millions of searches and returns accurate results so quickly. 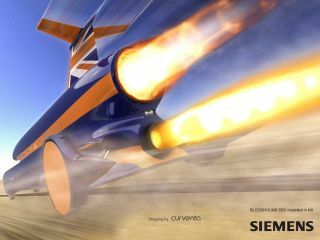 And moving from online to offline, we paid a visit to the design team behind the Bloodhound SSC to discover the mind-blowing tech in the car that hopes to break the land speed record by reaching around 1,000 miles per hour.